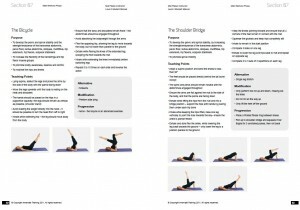 We are are extremely excited to announce that our new Level 3 Pilates programme is now complete and will be on sale from January 2012. Approval from our Awarding Body, Central YMCA Qualifications has now been given and the Pilates manuals are already in print. Dates will appear on the website during the first week in january, so book early to avoid dissapointment. This Pilates qualification presents a modern perspective to the original work of Joseph Pilates in his Contrology programme. Moreover, the Level 3 Pilates Diploma provides candidates with an advanced knowledge of Anatomy and Physiology, and how they can apply this knowledge to the safe prescription of Pilates exercises and programmes. There are no formal pre-requisites for this Pilates programme however we do strongly recommend that those considering this qualification already possess a Level 2 certificate in Fitness Instruction. Alternatively, if candidates already possess a Level 2 Pilates Course, and want to up skill their knowledge and qualification to the required Level 3 standards, this qualification provides the perfect opportunity to do so. For more information about our Pilates course/qualification, please contact our sales team on 01257 475 789.